Established in February 2008, the TEEX Advisory Council (TAC) is a fantastic group of folks who have truly become trusted advisors of the agency. Currently, the TAC consists of 16 members who were selected for the experience and knowledge they each bring from their respective fields in industry and government. These fields range from public health and safety, to energy and transportation, to economic development and technology. These members respect TEEX’s mission, goals and objectives, and they complement the agency’s activities by offering insight and information on the diverse constituencies we jointly serve. The TAC’s mission is to serve as an advisory body to TEEX regarding strategic direction in meeting the needs of the public and private sectors, and in staying in the forefront of emerging technologies and potential product and service areas. They provide guidance on initiatives, strategies, and business development opportunities for TEEX. TAC members are also crucial in identifying community resources that might assist with a particular project, facilitating the development of strategic partnerships, and advising on legislative issues and dynamics. Numerous leads for business opportunities. Through only four offsite meetings, about the same number of teleconferences, and sporadic trips to visit the TAC members on their turf, I’ve really enjoyed seeing the bond forming between this diverse, yet enterprising, crew of women and men. Not only have they proven to be tremendous advocates for and counselors to TEEX, but they’ve also forged alliances and partnerships among themselves. The diversity of each of our backgrounds has allowed us to have insightful, and colorful, discussions about business and life. And almost two years later, I can sincerely say that we’ve formed some lifelong friendships within this group. What’s next for the TAC, you ask? We’re planning an offsite meeting in Ingleside for February 2010, which will include tours of Naval Station Ingleside and a Valero refinery. We’ll have much to discuss regarding TEEX’s interim legislative strategy, as well as the agency strategy, and some other initiatives that are currently in the works. 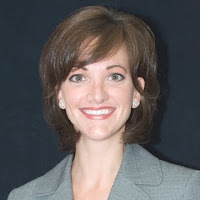 Jenny Ligon is the Manager of External Relations for the Texas Engineering Extension Service. NUCLEAR POWER—NOT IN MY BACKYARD?